These beautiful natural wood mills are elegant for any kitchen. 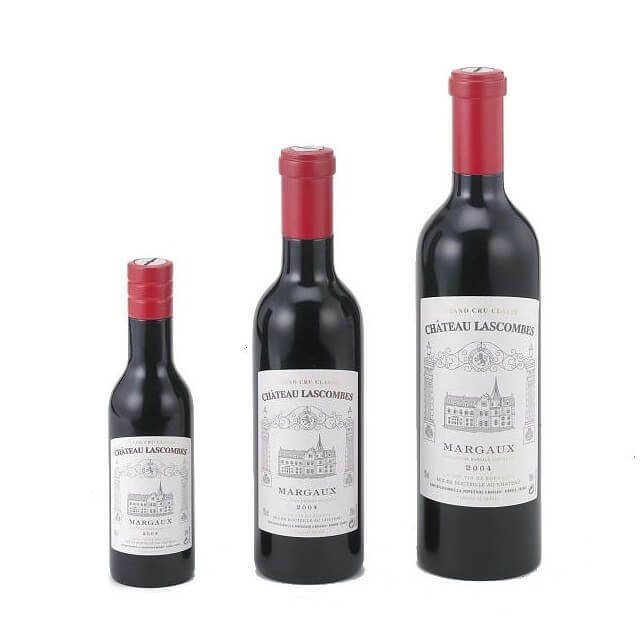 The durable mechanism for long-term use, release maximum flavor and aroma, adjustable from fine to coarse grind. A must-have kitchen and dining products for good taste customers. Holar has been manufacturing kitchen and dining products since 1966. 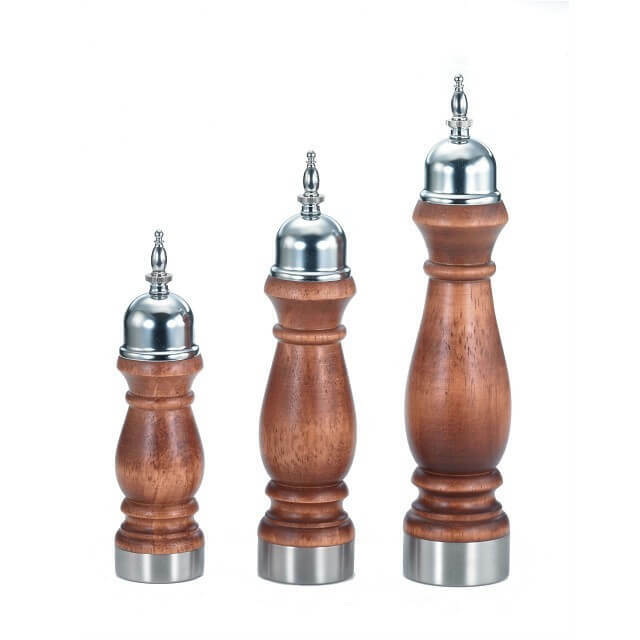 Starting with pepper mills, we later developed our own factory to make the inside parts for the mills. By doing this, we ensure that quality control and testing of our products are tracked throughout the production process. 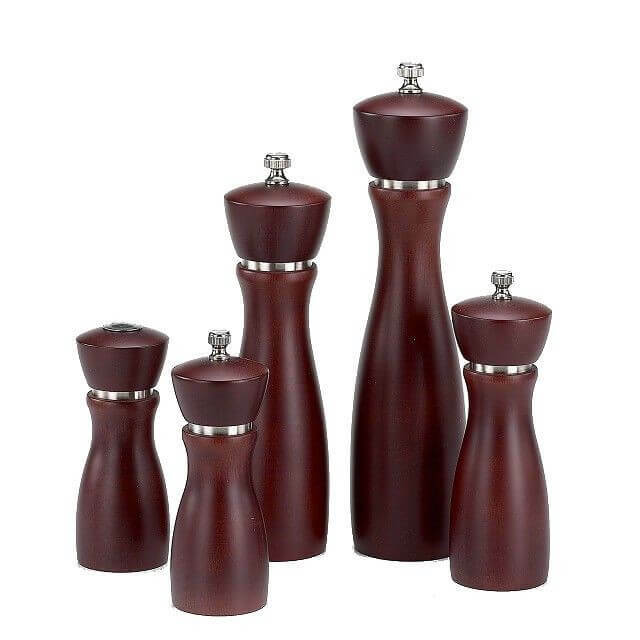 In addition to the wood pepper mill, we have also included wood, acrylic, bamboo and stainless steel to create a new series of products. 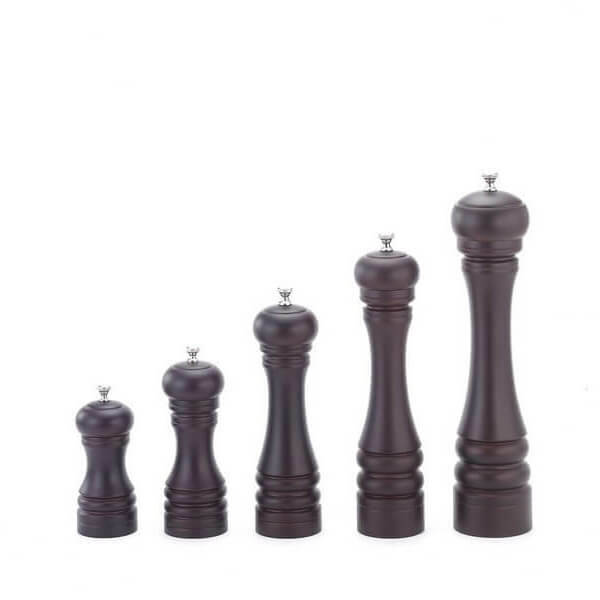 We now have 7 main product lines: salt and pepper mills, coffee mills, canisters, oil can, tabletop, snacks/spice servers and melamine. We have created more than 500 different product series so that our partners always have best selections to compete in any markets.